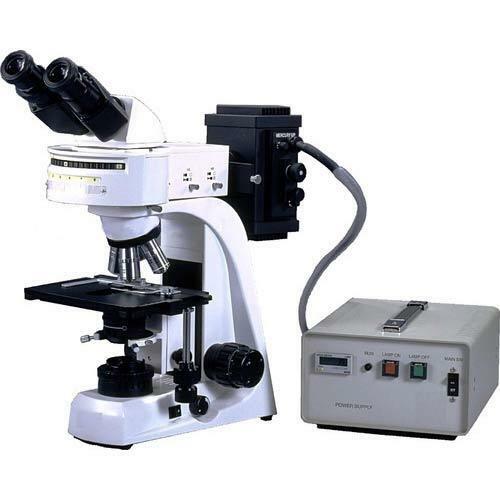 We feel proud to introduce ourselves as the leading organization in this domain, engaged in presenting an excellent grade of Fluorescent Microscope. This is used for capillary examination. Also, this technique is a new, highly sensitive rapid method of diagnosing malaria. It is also useful in the diagnosis of filariasis and leptospirosis. The principle of this method is the malaria parasite picks up fluorescent stain into their nucleus and cytoplasm, so that its morphologic characteristics can be examined by fluorescent microscopy. The nucleus appears green and the cytoplasm reddish orange.